June was a great month, and we have quickly transitioned into summer fishing season. All of the Missoula area rivers are dropping, clearing, and coming into shape. 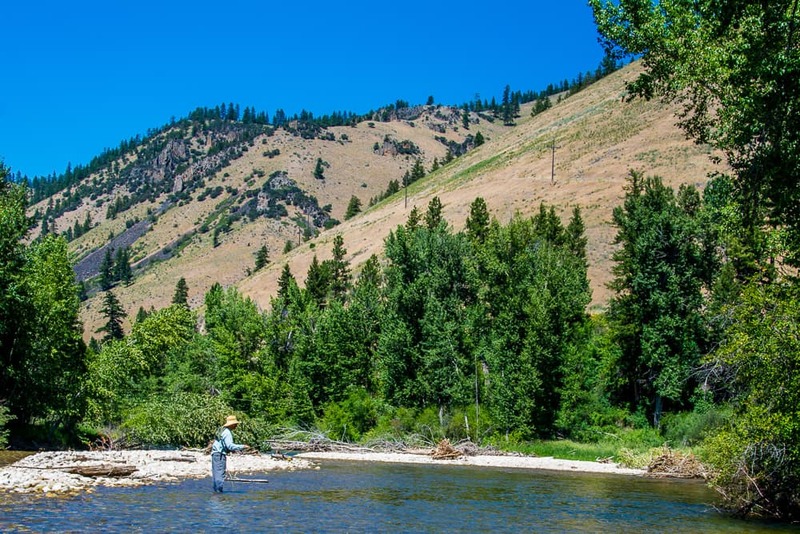 New fly fishing options in the region are opening up each day. The Blackfoot, Bitterroot, and Clark Fork are all fishing well and our biggest problem is deciding where to go each day. Along with the new fishing options, there are a host of new hatches as well. Pale-morning duns, Bitterroot stones, yellow sallies, caddis, and the last of the green drakes are making an appearance daily. There is something for every angler at the moment. We have all day dry fly fishing to feisty cutthroats, post up rising trout scenarios to bigger fish, dry/dropper fishing for a mixed bag, and even some good streamer action for the die-hard. As summer fishing season takes hold, we need to adapt to the changes. This year July has come in dry and hot. We still have plenty of water in the rivers but those willing to get up early will reap the rewards of cooler temps and more active trout. The last two hours of daylight this time of year can provide some excellent dry fly fishing during the caddis hatch as well. Just keep an eye on water temps, if the weather stays hot it may become too hard on the trout to fish the evenings. As the summer progresses we will fish on all of our over 300 miles of local water in Missoula. 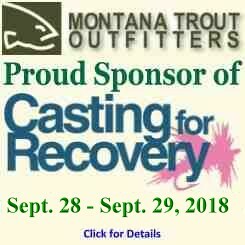 It is a fantastic time to fly fish Montana. We have traded our waders for shorts and sandals, loaded up on the sunscreen, and filled our dry fly boxes. 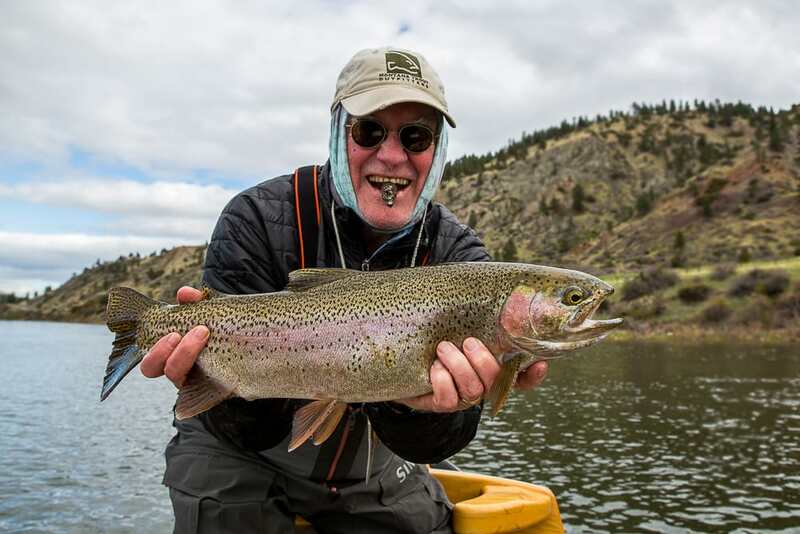 This is one of our favorite months, and the Montana fishing report for June will tell you why. June is one of our run-off months when the snow comes out of the mountains and river conditions become unpredictable. 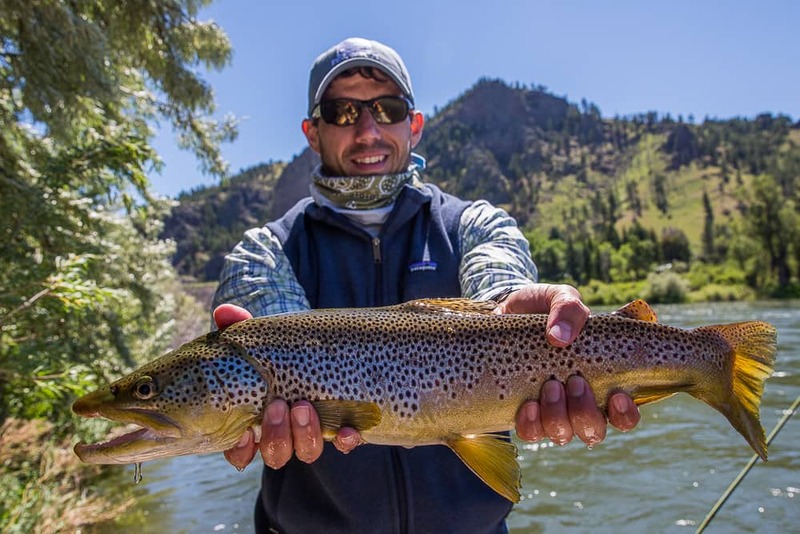 That is the tricky part about June, but years of experience have also proven that June is our best month for big fish and epic dry fly fishing if you’re willing to be flexible. Our local Missoula freestone streams usually come into shape sometime between the first of June and the 12th. Some years it is earlier and others it is later, but that is the average. When our local streams aren’t fishable we run our trips on the Missouri. It is a tailwater that provides consistent clean flows when our rivers are dirty. This year we were on the Missouri until June 8 with great nymphing and some good dry fly fishing with PMDs. By then we had a couple options in Missoula so we fished Salmonflies on small, fast water for 3 days with good results. All the other options were dropping into shape and it looked as though the dry fly fishing would bust wide open in the coming days. Unfortunately we had a huge rain storm move in with up to 4 inches of rain in the area. All of our local streams blew out and some even went above flood stage. Based on the weather forecast I moved the last 2 days of a 3 day trip over to the Missouri. My angler was a little reluctant as he had never fished the Missouri before. Two days later he had experienced some of the most fun dry fly fishing of his life, biggest brown trout ever, and a boat load of quality rainbows and browns. I tried to get my next angler to move his 2 days to the Missouri as well. He insisted on staying in Missoula so on day one we ran over and back to the Missouri river. By lunch he mentioned it was some of the finest fishing he had ever experienced, then in the afternoon he landed 2 browns well over 20″. The next day we fished around Missoula and had to work hard for every fish in less than ideal conditions. At the end of the trip my angler said next time I recommend we go and stay somewhere to fish, he will listen. At this point the Missoula rivers are again dropping into shape. We have giant Salmonflies coming off in several different places with Golden Stoneflies, and Green Drakes not far behind. We moved some huge brown trout on dries yesterday on the Blackfoot, and the big fish will continue to hit the net until our water clears and drops to summer levels. We never know for certain where we will be fishing each June. The Montana fishing report for June this year has been unpredictable. What we do know is wherever that happens to be, there will be big fish and good dry fly fishing. Run-off has finally arrived in Missoula, and our Missouri river guide season has started. We always look forward to spending the month of May on the Missouri. This big tailwater rarely disappoints with consistent nymphing, exciting streamer action, and some of the finest dry fly fishing of the year. With a bigger than average snowpack we are expecting higher water on the Missouri this year than the last couple of seasons. That is not ideal for our dry fly plans, but just like in Missoula, higher water equals more big brown trout and everyone loves big browns! The big browns are always a special treat, but it is a steady diet of 16-20+ inch rainbows that keep our anglers coming back year after year to the Missouri in May. The spawn seems to be nearly over for the season and those big rainbows return to the main river ready to eat anything that moves. 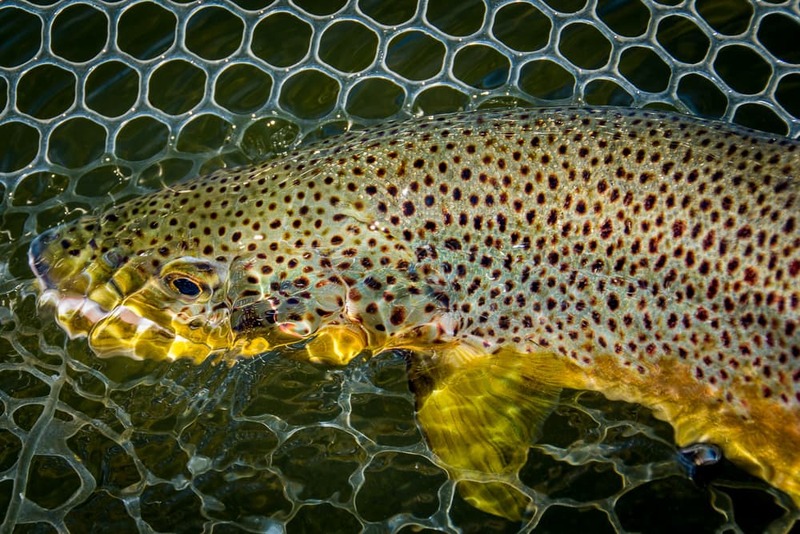 While the higher flows aren’t the best for midge and blue-wing olive hatches, the trout won’t be able to resist big March Browns and the hordes of caddis that are coming. The March Browns should show up any day, and size 12-14 mayflies covering the river will get some big snouts breaking the surface. The caddis will come next and we will get explosive takes in fast water. We had an unbelievable spring dry fly season in Missoula with some of the most consistent conditions ever on our local rivers. Now it is time to switch gears as our Missouri river guide season has already started. We will be on the big river for the next month with heavy nets and smiles as wide as the big sky. We look forward to seeing a lot of familiar anglers and introducing a few new ones to the Mighty Mo. The spring fishing season in Missoula has been one of the most consistent in recent years and there’s nothing on the horizon to indicate any change. Day to day the conditions have been good to great depending on the weather and stretch of river. This time of year we can be plagued by rapidly changing river levels, but this season we experienced a big bump early in March and since then it has been stable to dropping water so far this spring. Trout get grumpy when river levels rise. They like stable or dropping water so we have had plenty of happy trout this spring fishing season. At some point we will start to get bumps in flow that will signal the main run-off is one the way, but those bumps don’t look like they will happen for at least another week. The big news this week is the arrival of the mayflies. Little blue-wing olives, march browns, and grey drakes started to make an appearance this week. They were a little behind schedule this spring, but more than made up for it with blanket hatches a couple days this week. 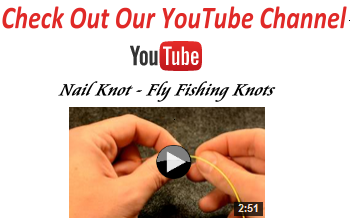 The mayflies add another fly choice to your trout catching puzzle. The days of being able to fish a Skwala from start to finish are probably behind us for the season. The bright side is that the mayflies get a lot more fish looking up and your chance of finding pods of rising fish increases too. 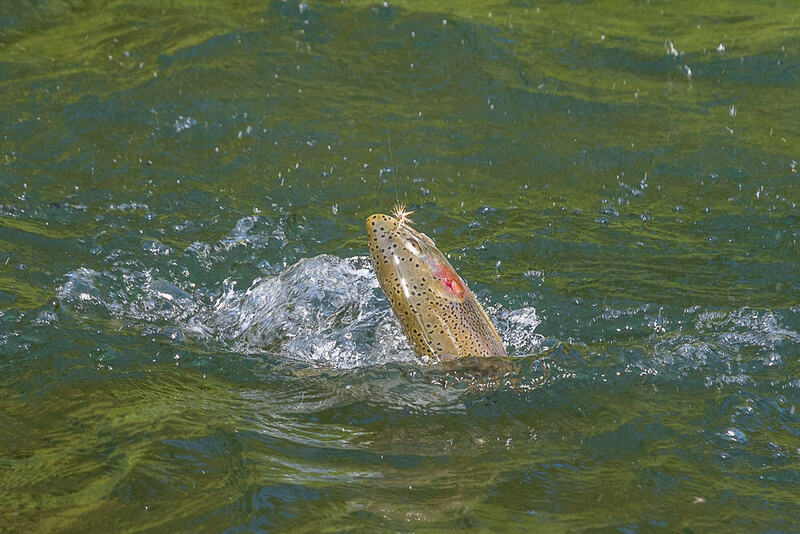 The debut of the mayflies is also a signal that more fishing options are starting to open up. The Clark Fork has produced some decent fishing recently, although now that the blue-wings and grey drakes are here this river will start to provide some of the best dry fly fishing of the season. The march brown hatch on Rock Creek is one of the best hatches of the year on the creek and a highlight of the spring fishing season. The Missoula fishing season continues to roll on and it looks to be a smooth ride into the near future!